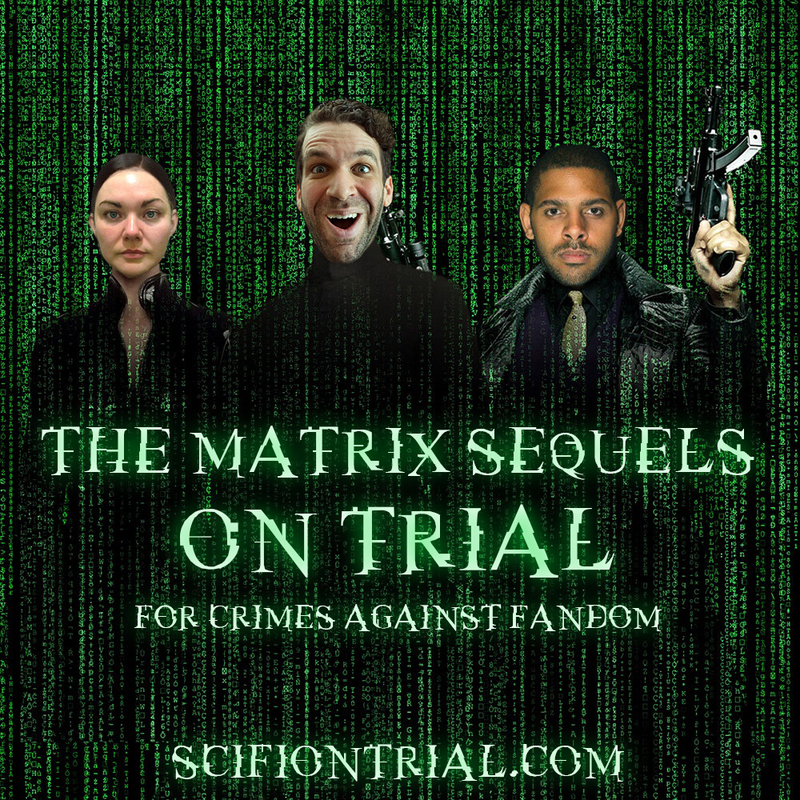 Our tribunal of nerds debate the merits of The Matrix sequels (The Matrix Revolutions and The Matrix Reloaded) to determine if either film is guilty of crimes against fandom. Hosted by Jesse Mercury, featuring Andi Alhadeff, Ryan Casey, Andrew Lee Creech, Allison Lizotte and Daniel Desrosiers. Previous Article← The Trial of John Carter – Live! Where else can I find thoughtful creative, talented and articulate friends like these to talk movies for hours? Friends to agree with, disagree with, offer critique, offer ideas and suggestions to make it a better movie? I love these on trial Jesse Mercury podcasts!